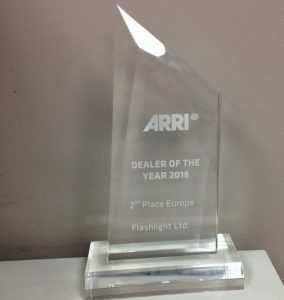 Ged & Andy of Flashlight recently picked up yet another European Dealer award at the recent ARRI dealer meeting in Berlin, after another record breaking year. Gemini from Litepanels now available – call or email for best prices! David Manister promoted to UK Sales Manager. Dave has worked for Flashlight Ltd since January 2013. During this time he has been heavily involved in developing the professional theatre and AV markets. 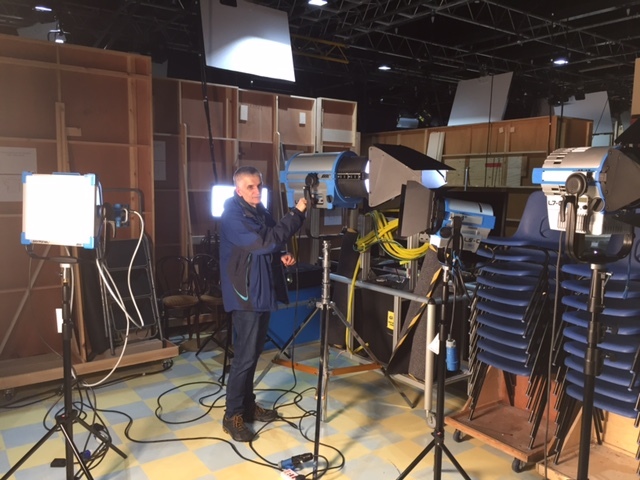 He has been a great help in diversifying Flashlight’s traditional TV market and introducing new products, which has helped us establish excellent working relations with highly regarded professional theatres, events and production companies, along with many of the major rental companies. His commitment and enthusiasm during this time has had a very positive effect on Flashlight’s continued growth and increased our presence within the industry. On behalf of everyone at Flashlight Ltd, we want to thank David for his ongoing support and to congratulate him on his achievement. 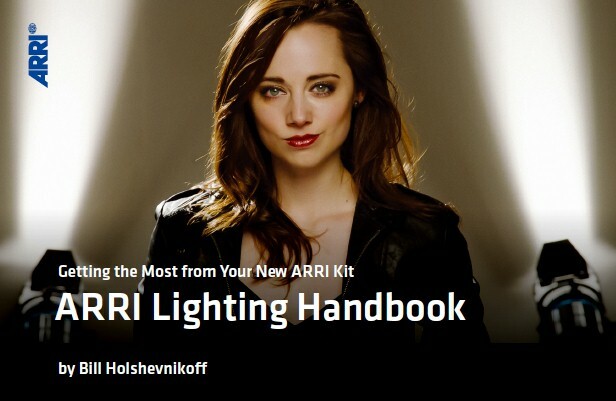 ARRI have released a new Lighting Handbook with loads of information for beginners and seasoned professionals. Download your copy by clicking on the image below! Flashlight is pleased to offer Lee Zircon Filter, specifically manufactured for LED lighting LED lighting has many benefits, but one of its stumbling blocks is that its intensity can contribute to the fade times of standard lighting filters. In order to overcome this Lee Filters’ Research and Development team has developed a new way of producing filters that ensures they last longer when used with LED lights. In fact, Zircon Warm Amber filters have been shown to retain at least 80% of their effectiveness after as much as eight months of continuous use on LED downlighters. Not only are Zircon filters longer-lasting than their standard counterparts, they’re sturdier, too. Manufactured using a 180-micron material, they are more than double the thickness of a normal lighting filter. This makes them more durable and easy-to-use. Flashlight Ltd has announced the opening of a London sales office & warehouse, headed up by sales executive Gordon Smith. The new location will also provide showroom and demonstration facilities. Due to the rapid expansion of their southern client base and operations, the company feels the new location will better serve the demands of local rental and sales clients. The new location will provide sales and support for the company’s expanding range of leading lighting products – stocking the brands the company has become renowned for supplying, such as ARRI, Manfrotto & KinoFlo. The company will still have its headquarters at the existing location in Manchester. Flashlight directors Andy Dodd and Rob Williamson commented: “We’re delighted to open a London office; we felt it is the perfect time to provide additional local stock and same day service to our many London clients. Perfectly situated in Park Royal area, the new space will further strengthen our high level of product expertise and support we can provide to customers operating in the local broadcast, motion picture and theatre lighting market”. The new office address is: Flashlight Ltd, Unit 24, Sovereign Park, Coronation Rd, Park Royal, London, NW10 7QP. The office can be reached on Tel. 0208 226 6258 Flashlight Ltd is a leading UK supplier of lighting equipment to the broadcast, motion picture and theatre industries. 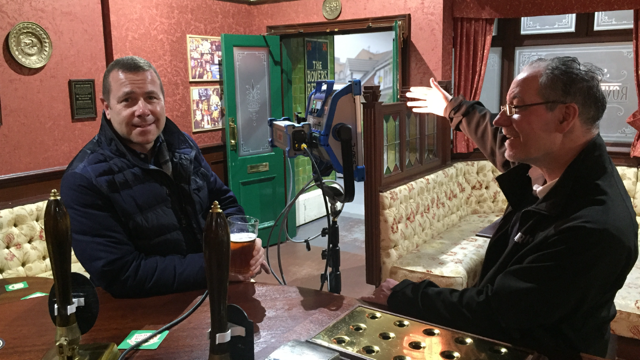 Originally operating from a Manchester base, they have been satisfying the needs of local and national productions since 2002, and have expanded rapidly now supplying freelancers, productions, studios, and theatres across Europe and beyond. 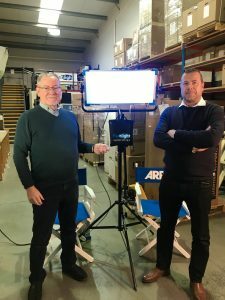 Flashlight Ltd is an award-winning ARRI lighting distributor and the largest stockist of ARRI lighting equipment in the UK. Whilst ARRI remains the flagship brand, the company can also advise on, and supply lighting equipment, consumables and grip from KinoFlo, Dedolight, Strand/Selecon, ETC, Manfrotto and Martin Professional and many other premium brands. NEW from ARRI – SKY PANEL SkyPanel is a compact, ultra-bright and high-quality LED soft light that sets a new standard for the industry. With a design focused on form, color, beam field and output, SkyPanel represents the culmination of more than a decade of research and development of LED technology at ARRI. SkyPanel will initially be available in two sizes: the S60 and S30. The S60 is a midrange model, featuring a light aperture of 645 x 300 mm and accommodating the vast majority of applications. The S30 is a smaller, more portable version; half the length of the S60, it is perfect for on-the-go mobile applications. Both models are available in fully color tuneable and remote phosphor versions. 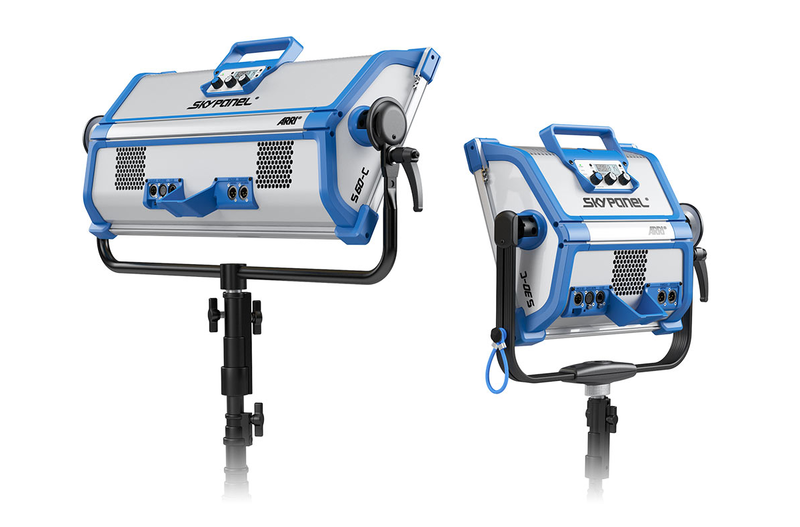 Incorporating features of ARRI’s successful L-Series LED Fresnels, SkyPanel is one of the most versatile soft lights on the market, as well as one of the brightest. Like the L-Series, SkyPanel ‘C’ (Color) versions are fully tuneable; correlated color temperature is adjustable between 2,800 K and 10,000 K, with excellent color rendition over the entire range. Full plus and minus green correction can be achieved with the simple turn of a knob, and in addition to CCT control, vivid color selection and saturation adjustment is also possible. Unlike other tuneable fixtures, SkyPanel makes no sacrifice when it comes to light output. SkyPanel puts out a tremendous amount of light, in a soft and uniform beam field. Brighter than a 2 kW tungsten soft light or a 6 kW tungsten space light, the SkyPanel S60 has more than enough light for most applications. At the same time, the lamphead is able to perform beautifully at lower light levels. This range of illumination and color gives users an unprecedented amount of control. Made in Germany to the high standards for which all ARRI products are known, SkyPanel is built to last – constructed from resilient materials and assembled by hand with great care. Other features include an on-board battery input for mobile applications, LAN port for network connectivity, USB-A port for firmware updates via thumb drive, and many more. Gordon Smith brings over 40 years’ specialist knowledge and commercial experience to the new role. UK – Flashlight Ltd has announced the appointment of industry veteran Gordon Smith, who joins the company’s UK sales department as a Film and TV sales executive. Gordon will provide field based sales and support for the company’s expanding range of leading lighting brands. 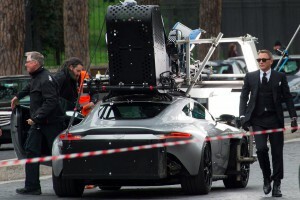 Flashlight Ltd is a leading UK supplier of lighting equipment to the broadcast, motion picture and theatre industries. Operating from a Manchester base, they have been satisfying the needs of local and national productions since 2002, and have expanded rapidly now supplying freelancers, productions, studios, and theatres across Europe and beyond. Flashlight Ltd is an award-winning ARRI lighting distributor and the largest stockist of ARRI lighting equipment in the UK. Whilst ARRI remains the flagship brand, the company can also advise on, and supply lighting equipment, consumables and grip from KinoFlo, Dedolight, Strand/Selecon, ETC, Manfrotto and Martin Professional and many other premium brands. JAN 2015 – Flashlight’s Open Day at Salord University’s Media City site is a great success. See the whole day in less than 10 minutes! 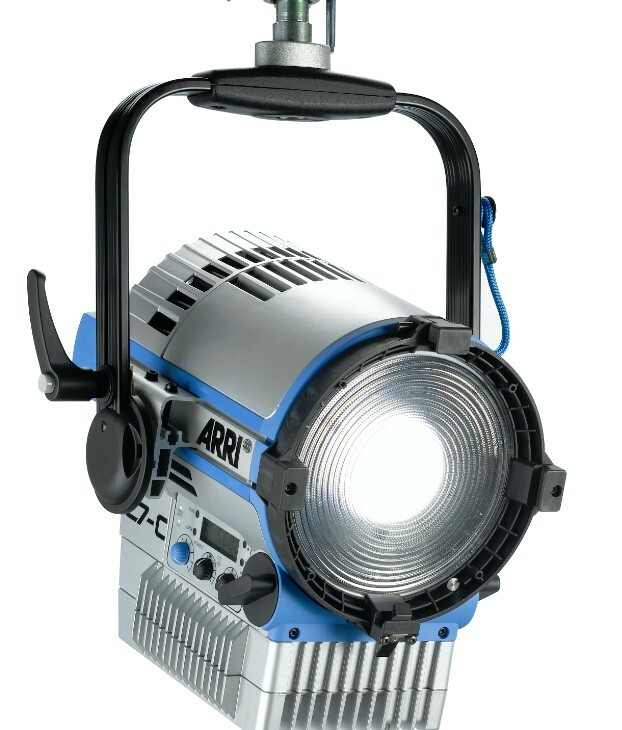 NOV 2014 – ARRI have updated their pioneering L7-C range of LED luminaires with a new “light engine” (LE2) offering a 25% improvement in brightness. L7-C LE2 – 25% INCREASE IN BRIGHTNESS! 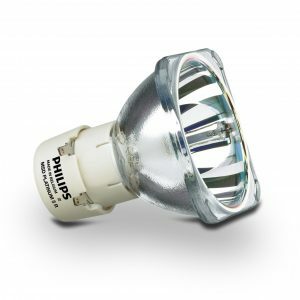 Click here for details of these exciting new LED luminaires.